Forgive me (or pity me): I just can't stay away from The Donald, even on a blog about (ostensibly) learning French. Now, with France dealing with its own immigration nightmare that makes our southern border problem seem trivial, you might think that Trump's strong views on the subject might get him a sympathetic ear over there. I'll save you the trouble of running to Google Translate. 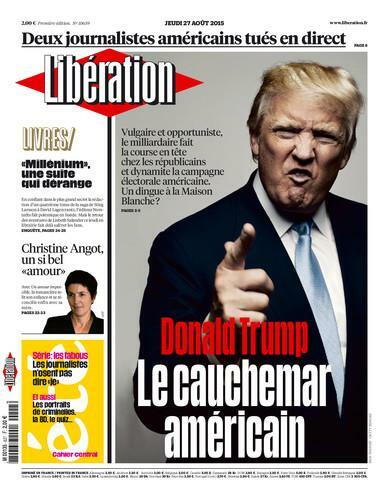 The headline translates as "The American nightmare"
That's nothing: Thursday they called him "a nutcase." The French are nothing if not direct. 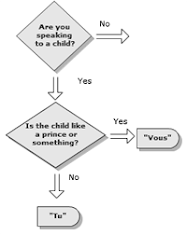 French to Trump English After All! Is Trump more sexist than the French language?